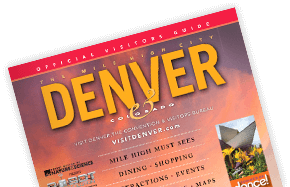 The Tourism Staff at VISIT DENVER works directly with you, the travel trade, to promote Denver worldwide. Partnerships with airlines, travel agents, tour wholesalers and trade organizations are part of our daily business. We can assists domestic and international travel planners in developing leisure programs for individuals and groups, incentive travel programs and student and youth tour opportunities.